To meet the last challenge of entrepreneurship successfully, a family business needs an active board of directors consisting of some external input. How do you replace an entrepreneur? Truthfully, you can't. In 30 years of working with family-owned businesses, I have never seen a "replacement entrepreneur." It's an oxymoron, like "jumbo shrimp." 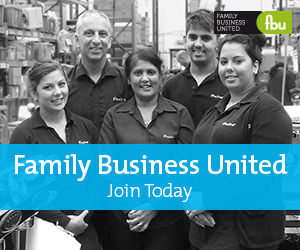 But it is possible to develop a system that provides stability and direction for a family business. Here we are going to take a look closer at leadership strategies. To produce leadership, the entrepreneur must establish a process that helps next-generation adult children maximize the leverage of their gifts to benefit the company and fulfil themselves. This requires a commitment on the part of both the company and the family to support and develop the younger generation of adults. When more than one adult child is involved, the entrepreneur should establish a leadership team that helps the next generation find an appropriate place in the company, based on their talents. According to Jim Collins' book Good to Great, you need to allow the next generation the chance to "find the right seat on the bus." For the business, a board of directors is good business. Research by Ernesto Poza (Thunderbird - Gavin School of International Management, Phoenix, Arizona) shows that family businesses with active boards of outside advisers are significantly more profitable than family businesses that do not have an active board. What creates happiness? In his outstanding book Finding Flow, Mihaly Csikszentmihalyi sees three things that create flow or fulfilment in people's lives: work, active leisure time and relationships. Entrepreneurs certainly recognize how work can help produce a happy life. For full happiness, however, we need to manifest our calling or spiritual gifts - representing the person we are, the passions we carry.